This version has a pattern of tiny ovals in vertical columns around the edge of the cassette shell. The architecture around the window and playback reels is rounded, and there is are lines and numbers under the window to indicate the position of the tape. 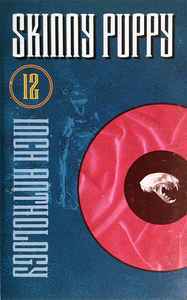 Title as on cassette shell: "12" Anthology"